Keith joined Watsi on November 5th, 2014. Four years ago, Keith became the 358th member to automatically support a new Watsi patient every month. Since then, 4,748 more people have become monthly donors! Keith's most recent donation traveled 8,500 miles to support John, a man from Kenya, to fund spinal surgery. Keith has funded healthcare for 60 patients in 12 countries. 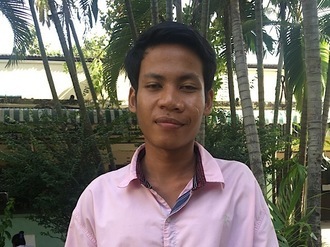 Sophea is a construction worker from Cambodia. He has a brother and a sister. He likes to play football with friends in his free time. Four months ago, Sophea was in a motor vehicle accident that caused paralysis of his left arm. He has been diagnosed with a brachial plexus injury on his left side. The brachial plexus is a nerve network that transmits signals from the spine to the shoulder, arm, and hand. Injuries to this nerve network can result in loss of function and sensation. He is unable to move his left arm and has no feeling in his left hand. Sophea traveled to our medical partner's care center to receive treatment. On August 2, he will undergo a brachial plexus repair surgery. After recovery, he will be able to use his arm again. Our medical partner, Children's Surgical Centre, is requesting $637 to fund this procedure. He says, "I hope after the operation, I can use my arm again and have no pain." Masiku is a farmer from Malawi. He lives with his wife, and together with their large extended family, they run a rice farm. Masiku has been unable to work due to his condition, but he still enjoys getting out to his local church and singing hymns with his family. 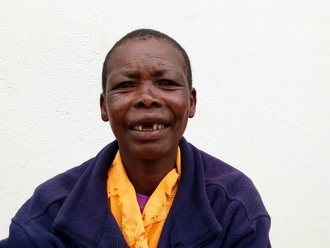 For two years, Masiku has been experiencing pain and urinary difficulty. These symptoms are caused by an enlarged prostate, a condition called benign prostatic hyperplasia. He needs to undergo a prostate resection surgery, a procedure in which surgeons will remove part of the enlarged gland. 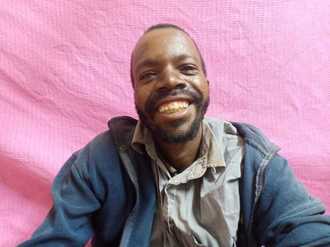 Our medical partner, World Altering Medicine, is requesting $733 to fund Masiku's surgery. On June 7, he will undergo prostate surgery at Nkhoma Hospital, our medical partner's care center. The requested money pays for supplies, medications, and two weeks of hospital stay. Masiku and his family were overjoyed to find out his surgery would be funded. Masiku is eager to once again be able to work his fields and plant his crops. He says, "I am so happy. I did not expect this gift and I thank you!" 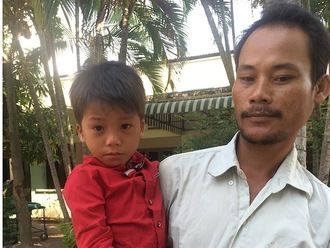 Piseth is a five-year-old boy from Cambodia. He has two older brothers and a sister. He is the youngest in the family. He likes to play games with his friends. Four years ago, his left hand was burned by an open fire. Burn scar contractures have developed, tightening the skin around his burn. He can't bend his fingers. When Piseth learned about our medical partner, Children's Surgical Centre, he traveled for five hours seeking treatment. On April 25, surgeons at CSC will perform a burn contracture release surgery to to help him use his hand easily again. Now, he needs help to fund this $448 procedure.